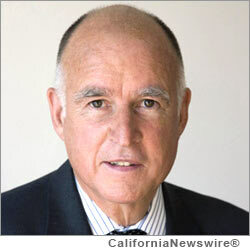 SACRAMENTO, Calif. /California Newswire/ — Governor Edmund G. Brown Jr. today announced the following appointments. First, Donna Atteberry, 64, of Mountain View, has been appointed to Area Board VII of the California State Council on Developmental Disabilities. Atteberry has been a procedure writer and editor at Lockheed Martin Space Systems Company since 2005. She was a technical writer and editor at Cool Cat Communications from 2000 to 2004, a technical writer at Spherion Corporation from 1999 to 2000 and a technical editor at Centigram Communications Corporation from 1997 to 1998. Atteberry was a disability insurance administrator at Matrix Self Insurance Resources from 1991 to 1997. This position does not require Senate confirmation and there is no compensation. Atteberry is a Democrat. Michael Bird, 65, of Costa Mesa, has been appointed to Area Board XI of the California State Council on Developmental Disabilities. Bird was department chair for the Hotel and Restaurant Culinary Arts Department at Cypress College from 1994 to 2010 and was a career technical educational instructor at the Central County Regional Occupational Program from 1993 to 1995. He was an operations manager at Destination Properties from 1990 to 1992 and director of purchasing at Wrather Hotel Supply Company for the Disneyland Hotel and Biltmore Hotel from 1981 to 1989. This position does not require Senate confirmation and there is no compensation. Bird is registered decline-to-state. Rebecca Donabed, 31, of Tulare, has been appointed to Area Board VIII of the California State Council on Developmental Disabilities. Donabed was a volunteer at Resources for Independence, Central Valley from 2010 to 2011 and a volunteer at the State of California National Core Indicator in 2010. Donabed served as a life quality assessment volunteer at the State of California Life Quality Assessment Project from 2006 to 2009 and as a volunteer office clerk at the Tulare Salvation Army from 2004 to 2005. Donabed was a volunteer office clerk at the Center for Independent Living in 2003. She graduated from the Partners in Policymaking California Program in 2008 and is a member of the Visalia Disability Advocacy Team. This position does not require Senate confirmation and there is no compensation. Donabed is a Republican. David Forderer, 42, of San Jose, has been appointed to Area Board VII of the California State Council on Developmental Disabilities and as the Area Board VII Representative to the State Council. Forderer has been vice president of the San Andreas Regional Center Board and secretary at the San Andreas Regional Center since 2008. He has been a disability consultant on the board of trustees for the Los Altos United Methodist Church since 2005. From 2000 to 2001, Forderer served on the accessibility commission and as an advisor for disabled students at San Francisco State University, disability advisor to the San Francisco State Chapter of Americorps, and disability advisor to the Pacific News Service. He served as an advisor to the president of the student body association at San Francisco State University from 1998 to 2000 and a disability advisor to the San Francisco Giants during the construction of AT&T Park in 1998. This position does not require Senate confirmation and there is no compensation. Forderer is a Democrat. Marria Jones, 38, of Visalia, has been appointed to Area Board VIII of the California State Council on Developmental Disabilities. Jones has been a special friends aide at Annie R. Mitchell Elementary School since 2008. She was a customer service representative at Cigna Insurance from 1997 to 1998. Jones was a secretary at the Tulare County Office of Vocational Education from 1996 to 1997. She was a disc jockey and receptionist for KDUV in Visalia from 1993 to 1996. This position does not require Senate confirmation and there is no compensation. Jones is a Republican. Janelle Lewis, 54, of Granite Bay, has been appointed to the California State Council on Developmental Disabilities. Lewis has been a project development specialist at the Center for Excellence in Developmental Disabilities at the University of California, Davis MIND Institute since 2008. She has been an educational consultant at The Answer Key since 2007. Lewis was a teacher at the Placer County Office of Education Independent Home Study Program from 2002 to 2008 and director and teacher for the English Language Transition Program in the Palo Alto Unified School District from 1993 to 1995. She was a teacher in the Santa Maria-Bonita School District from 1986 to 1992. Lewis served on the Senate Select Committee on Autism and Related Disorders Early Identification and Treatment Task Force from 2009 to 2010 and on the California Legislative Blue Ribbon Commission on Autism Task Force on Education and Professional Development from 2006 to 2007. She has also served on the Families for Early Autism Treatment board of directors since 2000. Lewis earned a Master of Education degree from California Polytechnic State University, San Luis Obispo. This position does not require Senate confirmation and the compensation is $100 per diem. Lewis is a Democrat. Elaine Linn, 41, of Folsom, has been appointed to Area Board III of the California State Council on Developmental Disabilities. Linn has been a senior communications consultant at Elaine Linn Creative Strategies since 2006. She was vice president at Perry Communications Group Inc. from 1999 to 2006 and senior account manager at the Dolphin Group Inc. from 1992 to 1999. Linn served as a research assistant at Benchmark Research in 1992. She was a co-founder of the Down Syndrome Information Alliance in 2004 and served as a member of the Community Advisory Board of the University of California Davis, Health System from 2004 to 2011. This position does not require Senate confirmation and there is no compensation. Linn is a Republican. Michael Rillera, 49, of Irvine, has been appointed to Area Board XI of the California State Council on Developmental Disabilities. Rillera has been a registered nurse utilization case manager at Kaiser Permanente since 2012. He was a clinical reviewer at the County of Orange Health Care Agency from 2005 to 2012. Rillera was director of nursing services at Westminster Therapeutic Residential Center from 2003 to 2005 and nurse manager at Royale Therapeutic Residential Center from 2000 to 2003. He was a registered nurse assessment coordinator at the Anaheim Memorial Medical Center from 1997 to 2000 and registered nurse assessment coordinator at the Naamans Creek Country Manor from 1995 to 1997. Rillera earned a Registered Nursing degree from Hahnemann University. This position does not require Senate confirmation and there is no compensation. Rillera is a Republican. Kecia Weller, 48, of Los Angeles, has been appointed to the California State Council on Developmental Disabilities. Weller has been an advocacy director at People First of California since 2011. She was a teacher’s assistant at the University of California, Los Angeles Extension Pathway Program from 2008 to 2010, coordinator of self-advocacy at Westside Regional Center from 1998 to 2010 and a state advocacy reporter at People First of California from 1996 to 1999. Weller served on the Santa Monica Disability Commission from 2002 to 2012 and has been the Los Angeles representative for the People First of California board of directors since 2006. She has been a county supervisor appointee on the Los Angeles County Commission on Disabilities since 2002. This position does not require Senate confirmation and the compensation is $100 per diem. Weller is registered decline-to-state.